Air China promotion is running till 28th of February 2018. In case of interest please look for travel dates between 24th of February to 4th of April or 25th of April and 14th of June 2019. (based on date of your initial flight to Taiwan. except travel dates around Christmas holidays). Max stay 3 months. We are also adding booking samples of multi city flights with stop over in China giving you great opportunity to visit China´s mainland and Taiwan at once. You can find more details here. You can compare travel options from your home city directly at Air China website using flexible searching tool. To check your connection possibilities we recommend to use service of Skyscanner. This tool gives you quickly an idea which airlines are available from your homecity. Need an accommodation in Taipei you can use Booking.com. To further discount your hotel room you consider promotion code that offer Hotels.com, Venere, Hotelopia or Otel.com. 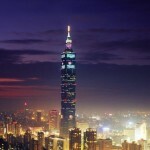 Booking sample of cheap Return flights from Germany to Taipei, Taiwan from €354! In this case you would be flying from Dusseldorf to Taiwan on 12th of May. You would then fly from Asia to Germany on 28th of May 2019.